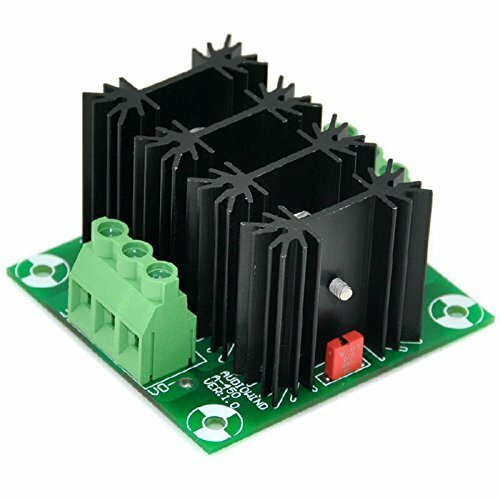 30 Amps Bridge Rectifier Module Board, for High Power Audio Amplifier. Maximum input voltage recommend < AC 100V. 4x 10nF/400V metallized polyester capacitors. Double layer FR-4 fiber glass PCB. Module size (L x W x H): 65 x 67.25 x 39mm / 2.56" x 2.65" x 1.54"
PCB size: 65 x 67.25mm / 2.56" x 2.65"
Heatsink size: 35 x 35 x 12.5mm / 1.38" x 1.38" x 0.5"
This is a very simple module board, no paper specifications, any questions feel free to tell me. If you have any questions about this product by AudioWind, contact us by completing and submitting the form below. If you are looking for a specif part number, please include it with your message.